The Seahawks will look to get back on the winning track when the winless Saints march into Qwest Field on Sunday night. The Saints are one of three remaining teams that have failed to post a win this season and sit in last place in the NFC South. 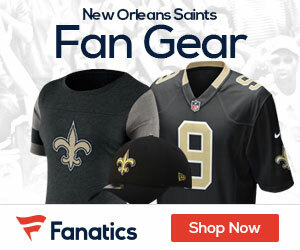 The Saints fell victim to a last-second 52-yard field goal in Week Five’s 16-13 loss to the Carolina Panthers. Drew Brees had 252 yards through the air with two interceptions in the loss. The Seahawks are coming off a disappointing 21-0 loss to the Pittsburgh Steelers. The offense struggled to get going, as Matt Hasselbeck finished with just 116 yards through the air and Shaun Alexander was held to 25 yards on the ground. Seattle will be without receiver Deion Branch, who suffered a sprained foot. The Seahawks won 21-7 in New Orleans the last time these two teams met in 2004.